In the mid-90’s Roger took his hobby of technology and brought it to fruition by starting his own company, Tyson Computing, focusing on residential and small business customers. Since those early days, the business has rocketed in to a powerhouse IT consulting firm in the mid-west. He has certifications in CompTIA A+ and Network+, Axis Communications, and in Microsoft solutions. In addition to being President, Roger spends time in the field as well. He enjoys working with customers and our staff to keep the pulse on all operations. This is a core to our fundamentals of the executive team. Roger leads by example with a strong work ethic. Customers will see Roger not only in strategy meetings but also working right along next to our technical staff on deployments or support services. He believes in the do the right thing approach at all costs. No item is too small to work on and demands as much attention as large scale items. Couple this work ethic with a strong customer service attitude and you’ll see why TC Networks leads the industry in these core values. In addition to his passion in TC Networks, Roger enjoys spending time with his wife, Patty, 3 children, and 8 grandchildren. Roger and Patty enjoy traveling, camping, and the outdoors. Jason graduated from Southwest Technical College with a degree in Network Communication Specialist. Since then, and early in his career, he became partner at TC Networks. He has certifications across many solutions including Microsoft, CompTIA, Apple, Linux, Aerohive, Axis Communications, and Cisco. Jason spends his time in both managing operations of the company and providing technical services to customers. This is a critical component of our executive team, being involved in all aspects of TC Networks operations. Jason’s real passion lies in the heart of a core value of TC Networks, customer service. He has devised many customer service related initiatives that help excel our core values to the forefront of the industry. This is done through a reiteration of both soft skills and data mining of metrics in the operations of TC Networks. Jason brings to the table a solid business skillset coupled with a strong technical ability. These together lead by example of our operations team and is something our customers see on a daily basis with their dedicated TC Networks account teams. In addition to his passion in TC Networks, Jason enjoys many things outside of work. He enjoys spending time with his wife, Kara, and 4 kids (Ashley, Courtney, Olivia, and Colton) especially when camping. He spends time golfing and mountain biking. Jason is the President of the Platteville Human Powered Trails, a non-profit group focused on maintaining single track trails in the Platteville area. He also serves on an advisory committee for the Southwest Technical College. Lacey is TC Networks Business Manager. She handles all things that relate to the back office operations of the company. She started on our imaging deployment team where she was a vital asset for the organization of mass deployments. She then moved in as an Assistant Business Manager and is now in her role as Business Manager. She also serves on the Executive Team for TC Networks. Lacey works very hard on ensuring all back office operations are being handled, no small job. This includes communications with ownership, our sales and operation teams, vendors, and customers. Attention to detail and being fair in all her activities with others is extremely important to her. Lacey enjoys spending time with her husband, Matt, and kids (Elly, Emma, and Miles). She is an all around animal lover after years of helping her grandma in her pet store as a kid. She also enjoys traveling and camping. 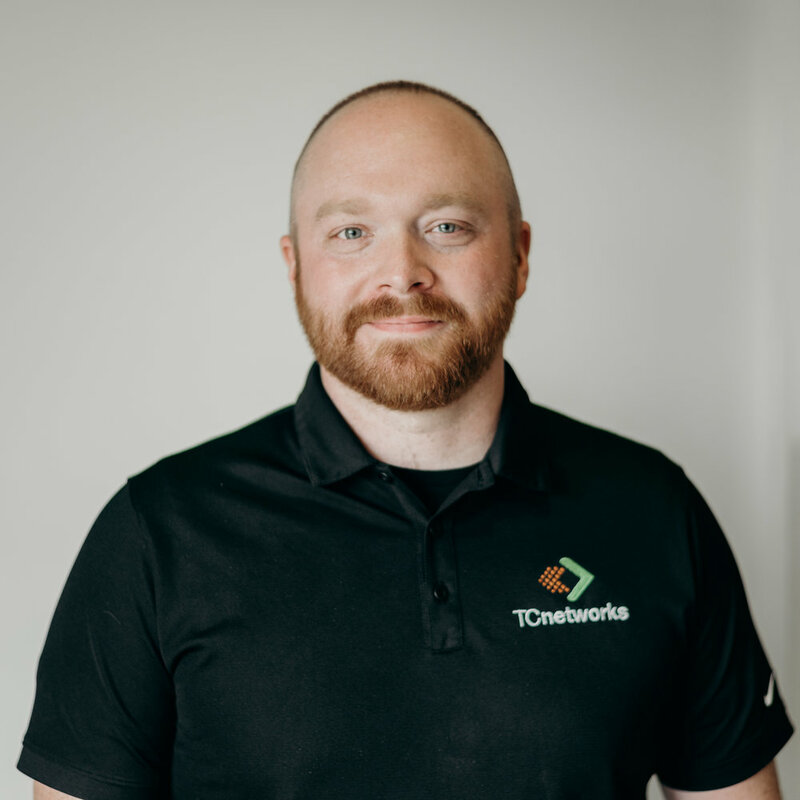 Matt’s role at TC Networks is an Account Manager as well as serving on our Executive Team. His background is in providing Apple hardware repair services, mass deployment services as our Imaging Team lead, and then as an IT technician. With Matt’s vast background in many areas of IT these skillsets bring a wealth of knowledge to his Account Management and Executive Team responsibilities. Matt’s strength is in a passion of working with others, whether it be his own team members or the customers he works with. This is a fundamental core competency to TC Networks and he leads by example. Matt focuses on creating a planned and open set of communications amongst everyone. Matt enjoys spending time with his wife, Lacey, and kids (Elly, Emma, and Miles). He’s an avid music lover and spends time with his family camping whenever possible. Rick has 25 years of executive sales management and sales experience. Leading the companies customer relationship drive through establishing and executing sales and support strategies is a major focus. By utilizing a consultative approach of learning about clients initiatives and goals, Rick can quickly call on a team of engineers and technicians to provide the optimal solution for any client. Rick has a proven track record of success in building long- standing, mutually beneficial relationships with clients to help them achieve their goals. 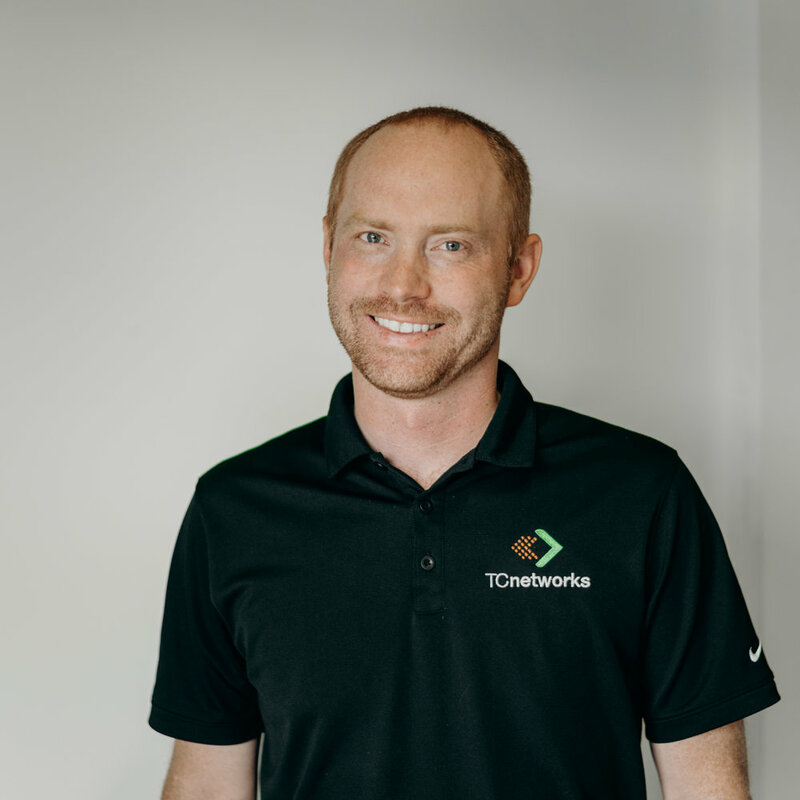 Outside of his responsibilities at TC Networks, Rick takes great pride in his family - wife Susan and kids, Kyle, Anna and Elly. You’ll most likely catch Rick coaching youth sports in and around the tristate area. With just over three decades in the technology industry, Jeff has been involved in all facets from analysis to development to implementation of both software and hardware infrastructures. Jeff believes in building long lasting mutually beneficial client relationships; helping to achieve their goals. The foundation of this success is based on a strong belief in utilizing a consultative approach to guide clients through a process of uncovering needs, investigating options, demonstrating the relevance of appropriate solutions and delivering products and services with the utmost value.